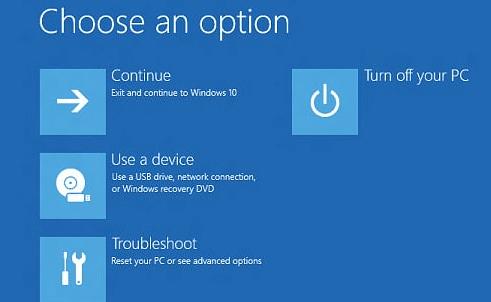 Home » Windows » Windows 10 » How to Factory Reset Windows 10 Device? How to Factory Reset Windows 10 Device? 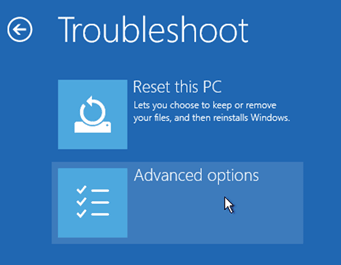 Windows 10 includes the Reset this PC option, which can help you quickly restore the Windows configuration to the factory settings. Resetting Windows 10 is faster and more convenient than reinstalling Windows from scratch using the installation media or repair. During the recovery process, the system asks whether it’s necessary to keep your personal folders and files. 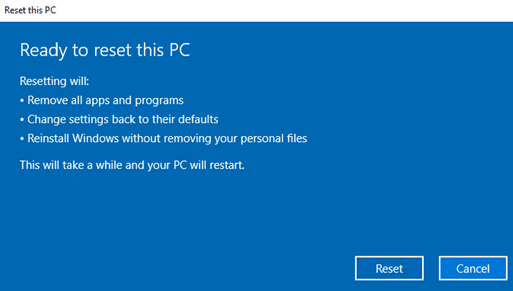 What Does It Mean to Reset Windows 10? When you use this function, Windows is being reset to the default state. Those, if you purchased a computer with a preinstalled Windows 10 operating system (OEM), your computer will be restored to this original state as “from store”. The installed software and drivers supplied with the PC/laptop will be in the same state as when the device was purchased. If you installed Windows 10 yourself, then factory resetting Windows will mean rolling back and restoring the system to its original state immediately after you install OS. 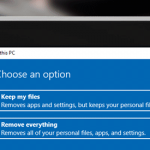 In each case, you can choose whether you want to save personal files or delete them. In all cases, all installed applications, their settings and system settings will be deleted. The PC restarts into the restored copy of Windows. 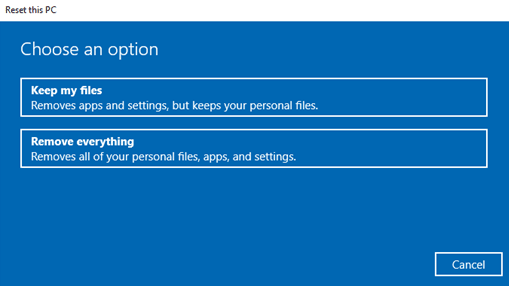 If you selected the option to save folders and files, Windows RE scans the hard drive for personal folders and files before deleting the current Windows system, after that it copies all personal files that were found to a separate folder. How to Factory Reset Windows 10 From the Installed System? In the Ready to reset this PC window, click Reset. After that, the process of automatic system reset and recovery starts. It takes about an hour. The computer will reboot (maybe several times), and after the reset will finish, you will get a clean Windows 10. If you chose to “Keep my files”, the system disk will be also containing the folder Windows.old, inside the folder you will find files of the old system (there can be useful user folders and desktop content). How to Reset Windows 10 if the System Won’t Boot? If Windows does not boot, it’s easy to reset it, but only if you have a pre-created bootable USB flash drive or Windows 10 recovery disc. After selecting the necessary parameters, you need to press the Reset button and the process of resetting Windows 10 to the initial state will begin. During the system rollback, the computer will reboot several times and you will need to configure its basic system settings. In Windows 10 1607, there is an additional way to get a clean Windows 10. 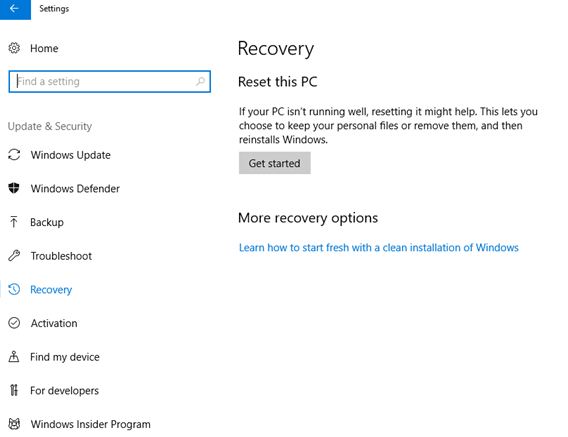 In the Update & Security section, go to the Recovery and click on the link Learn how to start fresh with a clean installation of Windows. On the page Start fresh with a clean installation of Windows 10 there is a link to a free tool that clean Windows 10 image directly from the Microsoft server and install it on your system. 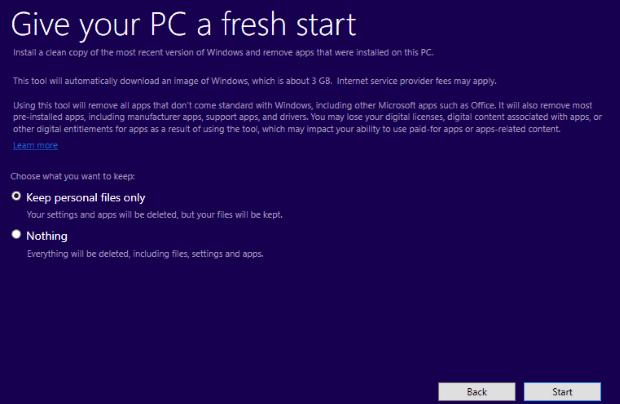 The hardware drivers will be automatically downloaded from Windows Update after the system finish the installation. If you do not find the right driver, you can find them on the website of the manufacturer of your device. You will get a fully reinstalled and workable Windows 10. After logging in, we recommend also to press the Win + R combination, type cleanmgr, press Enter, and then click the “Clear System Files” button. During hard disk cleaning, you can remove up to 20 GB of data remaining after the system reinstallation process.